*I do not add preservatives. 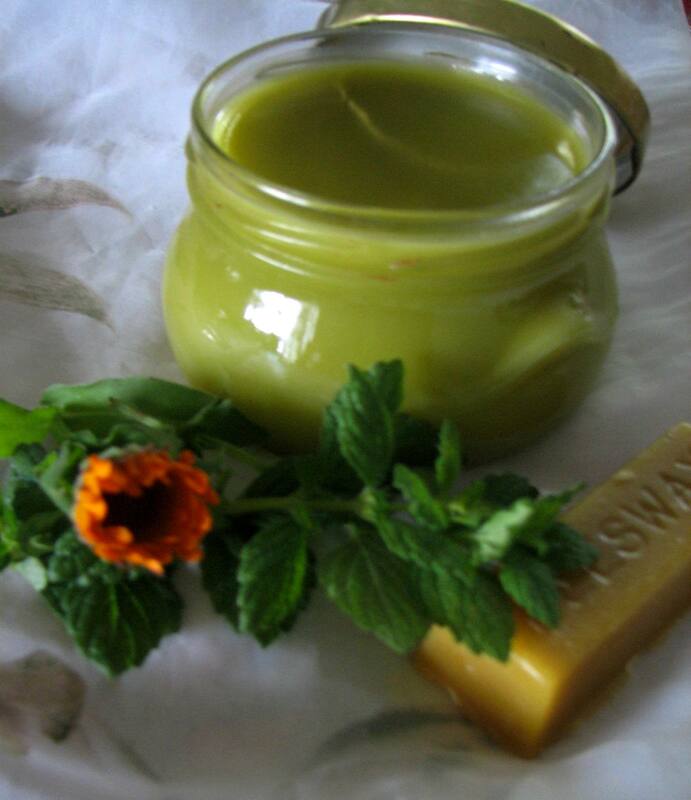 Many of the ingredients contain natural preservatives, so your salve will have a shelf life of 1-2 years. Add dried herbs, olive and coconut oil into crock pot and heat on low for 3-4 hours. Strain oil through cheesecloth and return to (clean) crock pot on low heat. Microwave beeswax and shea butter in 1 minute increments until fully melted. Immediately add melted beeswax and shea butter into crock pot & mix well with wooden spoon. If the wax starts to harden up turn the crock pot up to the high heat setting and stir until completely liquified. Add in tea tree and lavender essential oils and mix well. Pour mixture into small containers with lids and keep lids off until salve becomes solid.